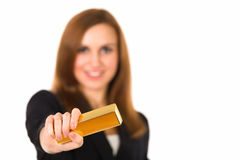 Gold has been seen as a hedge against inflation and some have some have considered it as an "insurance" hedge. Recently crypto currencies such as Bitcoin, Ether, Ripple have been making headlines among investors. Marc Faber believes crypto's will end badly and that precious metals such as Gold will go much higher. "We had a total neglect of gold and other commodities in 1999, and then gold rose from $255 to a peak in September 2011 of $1,921. At that time, there was a lot of speculation in gold and in other precious metals and other commodities. And since then we've been at a bear market until December, 2016, when gold approached $1,000. I think, eventually, these precious metals will come back into the investment portfolios of major institutions and individuals. The major institutions of the world, they hold practically no gold. They have more money in Apple, they have more money in Amazon, than, say, in gold. And I think that will change over time, but I don't know whether it will be tomorrow or in three years’ time, but my view would be that if you really look at the financial situation, the unfunded liabilities, the government deficit, the inflated asset prices, the conclusion is central banks will have to continue to print money, otherwise the system collapses. That, in my opinion, will boost precious metals prices."